In an effort to increase the safety of our children, the North Carolina Highway Patrol launched Operation Stop Arm week yesterday, October 15, 2012 at 6:00 a.m. and will go through the end of school Friday, October 19, 2012. They will enforce stop arm violations and other traffic violations in and around school zones aggressively. Troopers will be observing drivers in school zones and following school busses in marked and unmarked cars statewide during this week. Passing a stopped school bus is a Class 1 misdemeanor. The maximum punishment for a Class 1 misdemeanor conviction is 120 days prison/jail time. 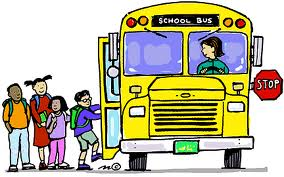 In addition, upon conviction of passing a stopped school bus one receives five driving points on their North Carolina driver’s license and is subject to fines up to $200. Furthermore, if—while passing a stopped school bus—one strikes an individual, one faces a maximum punishment of 15 months jail/prison time, because this is a Class I Felony. If—while passing a stopped school bus and striking an individual—one causes a death, one faces a maximum punishment of 30 months jail/prison time, because this is a Class H felony. Collins Law Firm has handled thousands of traffic tickets for our clients and, in most cases, we were able to avoid suspensions. Furthermore, for most simple tickets (speeding violations, passing stopped school bus, illegal passing, etc. ), our clients do not even need to go to court. We offer free phone consultations for most traffic matters. If you need advice or information about representation for a traffic violation or in a hearing regarding a scheduled suspension of your North Carolina driver’s license, call us at: 910-793-9000.